6.2.b.0.200 Archives — Gizmo Bolt - Exposing Technology | Social Media & Web. | Gizmo Bolt - Exposing Technology | Social Media & Web. [ UPDATE ] DooMLoRD has made a one click rooting kit for Xperia S, SL and Acro S – USE IT NOW To Root your phone. 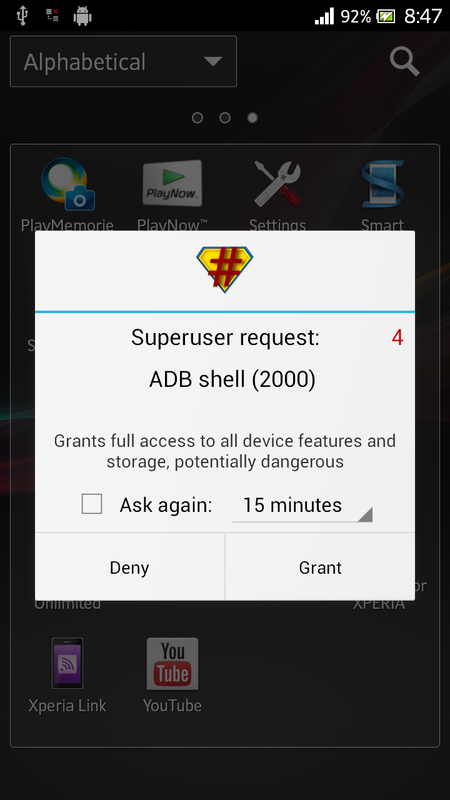 How to Root Xperia S, SL, Acro S Z, SP, ZL Jelly Bean by DooMLoRD Easy Rooting Toolkit v15, V16, V17 ? How to Root Jelly Bean 6.2.B.0.200 firmware ROM on Xperia S, SL and Acro S ? We assume your Xperia S LT26i and Xperia SL LT26ii is on official android 4.1.2 Jelly Bean 6.2.B.0.200 firmware. If you have not got the official notification yet for the Jelly Bean 6.2.B.0.200 firmware update then you can install it manually from the given below link. How to Update Manually Xperia S LT26i / SL LT26ii / Acro S LT26w by Flashing Jelly Bean 6.2.B.0.200 firmware ftf file ? The below method for rooting works only on unlocked bootloader. Follow this official guide from Sony to unlock bootloader on your phone. 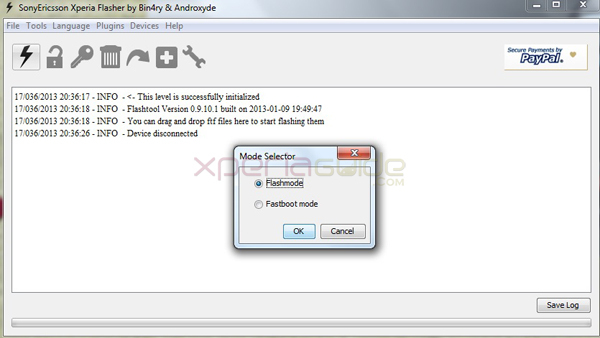 Download fastboot from given below link and also install fastbooot drivers for Xperia S.
Download Flash Advanced stock kernel from DooMLoRD and flash it on your device. Download the custom recovery from XDA developer DooMLoRD and install it in recovery then to root. # Switch off your phone now. Connect phone to PC. # Pressing “Volume down” button, enter into “fastboot mode”. Now open the folder “Fastboot”. # Now Press “shift+rightclick” and now choose option “open cmd widnow here”. Follow the given below command by DooMLoRD. If successfully done, now you have a rooted Xperia S on original android 4.1.2 Jelly Bean 6.2.B.0.200 firmware ROM. Just now we have got confirmation that Xperia S LT26i has officially been updated to android 4.1.2 Jelly Bean 6.2.B.0.200 firmware. Around the globe Xperia S users have confirmed that updated and have successfully updated their phone. Well if you are an Xperia S user and want to install Jelly Bean 6.2.B.0.200 firmware on your phone, do check out our tutorial. It’s a good news for all Xperia users who were frustrated over the Jelly Bean issue of Xperia S,SL and Acro S. Well till now no Xperia SL LT26ii and Acro S LT26w user have reported this Jelly Bean 6.2.B.0.200 firmware update but by the end of this day, the update will be surely rolled on out on these phones. 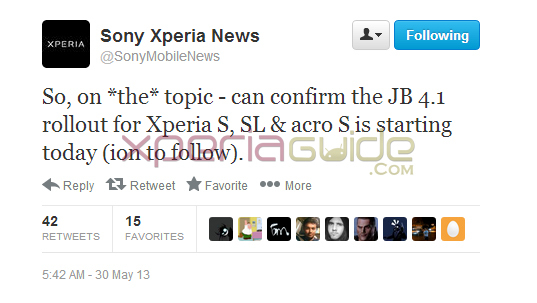 First of all let us get you back, a lot ago we saw JellyBean firmware 6.2.B.0.197 leaking for Xperia S and then we saw PTCRB listing Jelly Bean 6.2.B.0.200 firmware for Xperia S and then esterday we saw Sony Xperia France tweeting that android 4.1.2 Jelly Bean build for Xperia S is rolling out but build firmware was not mentioned. But now we have got our hands on something exciting. Bin4ry and DooMLoRD recognized XDA developer have brought up this leak with the installation method and downloading of advanced stock kernel. Let’s see what we have got for you in this build. Flash this firmware ROM only on developer (Brown) device strictly. It’s better to test it on such devices. Test it on developer devices (if possible, if not then look below). Unlocked Bootloader of Xperia S with CWM recovery installed. To unlock bootloader on your Xperia S, check Sony official guide on unlocking bootloader. Download it for developer devices. We the method is very tedious to install Jelly Bean 6.2.B.0.200 firmware on Xperia S, we would like you to have original installation methods from XDA. Step 1 : – Installation method from Bin4ry. Step 2 : – After you have pre-rooted the back up from step 1, then perform this step by Installation method from DooMLoRD. The best way to update your Sony Xperia phones is always via PC Companion or via Sony Update Service. Well in case your phone shows no notification of the official updates after connecting to PC Companion or Sony Update Service (SUS) then you always flash the original firmware’s ftf file on your phone via Xperia Flash Tool. Read our full tutorial below. How to Flash ftf file manually on Xperia Phones ? 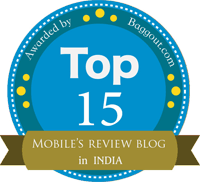 Download the “ftf file” of your Xperia device which is must needed in any case. Use Google search to get the desired ftf file for your Xperia device. You can get some of the ftf files on our blog also. Check below links. [ OFFICIAL UPDATE ] Xperia Z C6603 Android 4.1.2 Jelly Bean 10.1.1.A.1.253 firmware ftf files. [ OFFICIAL UPDATE ] Xperia P LT22i Jelly Bean 6.2.A.0.400 firmware ftf files. 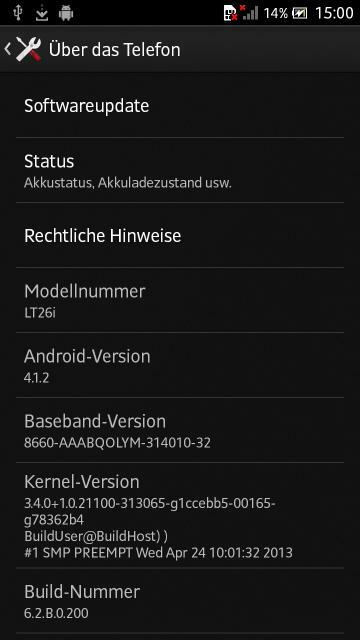 [ OFFICIAL UPDATE ] Xperia TX LT29i Jelly Bean 9.1.B.0.411 firmware ftf files. [ LEAKED UPDATE ] Xperia Ion LT28i Jelly Bean 6.2.B.0.203 firmware ftf files. [ LEAKED UPDATE ] Xperia S / SL Jelly Bean 6.2.B.0.197 firmware ftf files. [ PORTED UPDATE ] Xperia U ST25i Jelly Bean 6.2.A.0.400 on 3.0.8 old kernel firmware ftf files. 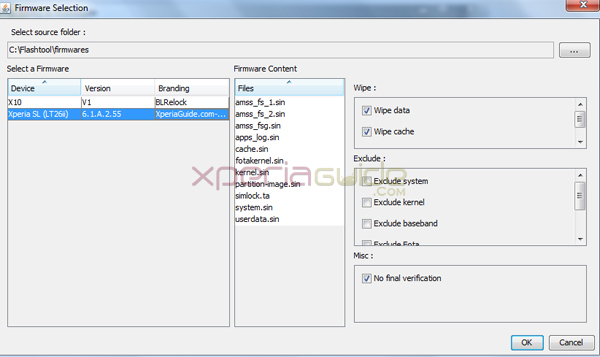 After getting the ftf files for your phone, now download the Xperia Flash Tool from given below link. Xperia go (ST27i), Xperia neo V (MT11i), Xperia ray (ST18i), Xperia P (LT22i), Xperia ZL (C6503), Xperia Z (C6603), Xperia PLAY (R800i), Xperia E dual (C1605), Xperia E (C1505), Xperia T (LT30p), Xperia S (LT26i), Xperia arc (LT15i) , Xperia arc S (LT18i). Download the Flash tool on your PC and install it. Let’s say you have installed it on folder named “C:\Flashtool”. Open the folder and find the folder named “drivers”, look for program “Flashtool-drivers” as you can find below. Now run the program “Flashtool-drivers” as Admin. As soon as it opens, check under option “”Select components to install” and find the phone for which you want to flash the ftf file. 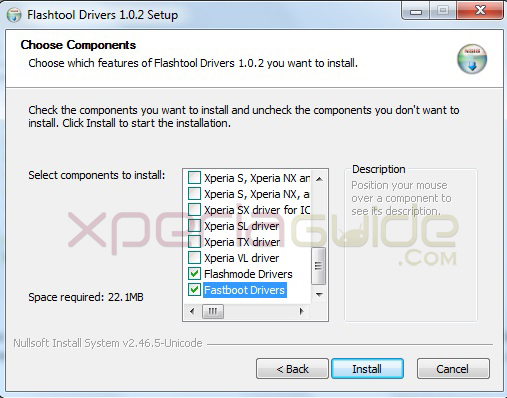 Suppose you want to flash files for Xperia P, then we will tick mark the option “Xperia P, U and Sola Drivers”, “Flashmode drivers” and “Fastboot drivers” to install the concerned drivers of the phone. Click the “install” button and wait till drivers are installed on your PC. Check image screenshot below. Now as soon drivers installation is finished. On your PC, navigate back to “C:\Flashtool” and in the folder named “firmwares”, please paste the downloaded ftf file for your concerned phone firmware. Open “FlashTool.exe” file from folder “C:\Flashtool”. As soon as you open it, check written “Device disconnected at the end” in dialog box. Check image. Switch off your phone,wait for 30 seconds, now connect your USB cable of phone to PC and the other end on your phone’s USB port. While inserting USB cable in your phone’s port, hold “Volume Down” button and then insert cable. You will see green light in notification LED which means your phone has been connected successfully in flashmode. See below, you will find “Device connected in flashmode” written in the Flash tool window. “Notice the Black Lightning icon in the top left corner”, Click on it, as soon as you click, it will as k you to choose from two options listed. Choose option “flashmode”. See below. Follow next Step carefully, any damage caused to your phone will be your responsibility. We are not at all responsible for that. Now from “Select source folder” option please navigate to “C:\Flashtool\firmwares” and choose the firmware ftf file which you pasted in this folder. After doing this from option “Select a firmware” choose your listed firmware ftf file and check mark the option “Wipe Data”. Do check mark other options if you want, you must know what they do, don’t do anything stupid here please. Under option “Misc” , check mark the option “No Final verification” if you are on Android 4.0.4 ICS Stock version. Click Ok, then. See below image. As soon as you click OK, Flashtool will now prepare files for flashing which you can see on the Flash Tool open window panel, check below. 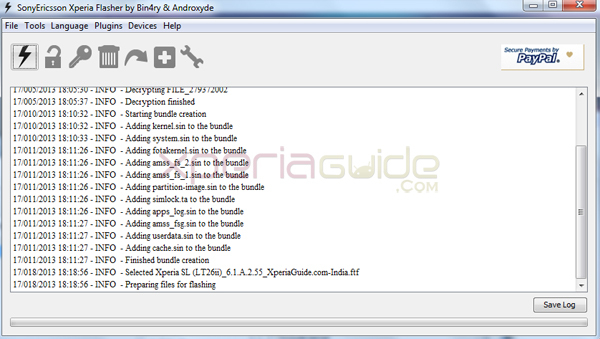 As soon as files are prepared, the selected firmware ftf will be installed on your Xperia device.